Ramblings of a weekend handicapper's bid to qualify annually for the $3 million National Horseplayer Championship in Las Vegas. Flamed out in 2015, 2016 and 2019 NHCs...and looking to qualify in Feb. 2020, still with an eye toward playable long-shots. The May 3 Bloomberg Business postscript to the Kentucky Derby headlined "American Pharoah Whipped 32 Times in Victory" was as low as they come and better reserved for the Animal Times of the media, not a presumably distinguished newswire, and no less from an acquaintance I have spent a few pleasant afternoons alongside at Saratoga. Ironic that, the morning after the $100-a-head Mayweather-Pacquiao mockery of boxing where no one sustained so much as a hangnail, thoroughbred racing exited its own ring the next morning with a major shiner and sent the industry into damage control mode. Bloomberg author David Papadopoulos, whether by design or sabotaged by a headline editor with a vengeance or ax to grind against thoroughbred racing and/or riding crops, sparked a mini controversy over American Pharoah's winning ride in the Derby by Victor Espinoza, whose "use of the crop fell within (Kentucky) regulations," according to a subsequent ruling by Kentucky racing steward. Certainly not from the PETA set, nor from the perspective of handicapping the Preakness Stakes, where American Pharoah drew the rail and is the 4-to-5 favorite in Saturday's reunion with Kentucky Derby runners up Firing Line and Dortmund, and facing five "new shooters" potentially as fabulous but just as unknown as the Third Tenor. 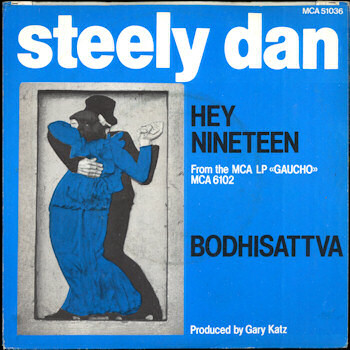 Heck, there's one named after a Steely Dan song who was 115-to-1 in the Remsen Stakes and is a juicy 20-to-1 in the Preakness Stakes on Saturday. In all likelihood, I will not bet the Preakness as a singular race as I did with the Kentucky Derby, where my money was mostly on Frosted over American Pharoah (in my view, Frosted could have won had Joel Rosario recalled that he, too, had a riding crop to prompt Frosted - 4th-place finisher and by far the best late runner of the bunch - sooner than he had in the stretch). The only value on American Pharoah as a straight bet in the Preakness will be the 3-to-2 "odds boost" on up to a $25 win wager through the TVG mobile betting app from noon-1 p.m. ET on Friday. Maybe if American Pharoah drifts up to 1-to-1 or 6-to-5 and I'm atop the leaderboard in Saturday's NHC-Big Game handicapping contest at HorseTourneys.com he might get my pick (huge favorites generally are not worth playing in notional-dollar handicapping contests, since the win-place points are too low), but otherwise I am not sold on the upstarts in the field merely to fish for a price and will be urging American Pharoah on verbally in front of a TV. In the wake of the riding crop sidebar that has sapped my interest in extensively handicapping the Preakness, I am hoping for a Secretariat-in-the-Belmont-type 30-length rout by Pharoah that silences the riding crop debate. Nonetheless, from a research sense, I wanted to delve a little more into the riding crop issue and whether Victor Espinoza's heavy "encouragement" of Pharoah on the Churchill Downs oval was a) as much an eyesore to others in the industry and/or b) compromises the horse's Preakness chances. From the humanitarian perspective, the ideal might be for a governing body to ban riding crops from thoroughbred racing, but humanizing an equine animal does not seem rational. "(The) focus on the whip, while understandable and appropriate, is at times exaggerated. Horses being whipped and whipped and whipped is not good for horses or beneficial to the racing outcome," said Robb Levinsky, lifelong horseman and the founder, co-managing partner and racing manager at Kenwood Racing, a growing NJ-based partnership. "People sometimes relate horses to themselves, but the horse is a very different physical and physiological being than a human." Levinsky relayed two stories to corroborate this theme. The first involved a Kenwood horse named Long May You Run, a 5-year-old gelding with 4 wins in 12 tries and nearly $100,000 of earnings. After an easy victory in a $25,000 claimer at Penn National last June, Levinsky said trainer Mark Salvaggio, in a rare move, encouraged Levinsky to wheel Long May You Run back a week later against tougher company, citing the horse's peak form. True to form, the horse won a $33,000 state-bred allowance by nearly five lengths and was not physically taxed. The second involved an unnamed 9-year-old horse in training at Calder in Florida. Levinsky noted that the exercise rider ignored the trainer's instructions to refrain from any encouragement or use of a whip on an older horse merely out for a gallop. The rider used the riding crop twice on the horse and returned to a disgruntled trainer. Now, on the surface, an outsider could look entirely differently on these seemingly unrelated scenarios (to each other and American Pharoah), all without understanding the context. One could say that a race horse should never run two races seven days apart, and even Levinsky admitted some apprehension about the notion, since Kenwood puts the welfare of its horses above all else. In the latter scenario, a clocker could simply take notes on the workout and be indifferent to the two whip taps of the exercise rider on a horse out for a breeze but be totally unaware of the trainer's dismay over the rider ignoring explicit instructions to not use the riding crop on the horse. Point being...most of us, whether a horseplayer, part-time blogger, seasoned member of the thoroughbred racing media, supporter of People for the Ethical Treatment of Animals (PETA), or casual observer, have zero clue about the intentions of a race horse's owner, trainer, jockey and handlers, which is what makes handicapping (and judgement of others) so difficult, and fun. "Sometimes you have to trust (a horse's) connections running the animal," said Levinsky, who as the recent astute buyer of a pair of 2-year-old fillies by Pioneer of the Nile (sire of American Pharoah) has a clear rooting interest in Pharoah this Saturday; a Pharoah win makes his stables purchase of Makanow Pharoah and Sonny's Pharoah that much more compelling. Of utmost importance to most of us that follow thoroughbred racing is the horse's welfare, but a respectable media outlet's use of a shocking headline focused on a jockey's use of a legal racing tool in a major race is rash and irresponsible, in my view. Espinoza, who clearly rode American Pharoah hard in the Derby and six days later was fined by Santa Anita Park stewards for causing a "break in the skin" with a riding crop in an unrelated race on April 4 in California (a state that last November toughened its riding crop restrictions), did not break Churchill Downs' "house rules" on riding crop usage, according to Kentucky race stewards. To the contrary, consider this from Hall of Fame jockey Eddie Delahoussaye in an October 19, 2011 Jay Hovdey column in Daily Racing Form. "One year I got fined here in California for not hitting a horse. It was on a bad track, and he was sore. But I got fined anyway. Go figure." Hovdey ended that column with a Delahoussaye quote - again, from 4 years ago - that best encapsulates where insinuating through a headline that Espinoza abused American Pharoah is askew. "You can hit a horse only five times and cut him up bad, or you can hit him 20 times in the stretch, keeping in rhythm, and the horse will be fine," Delahoussaye told Hovdey in the 2011 column. "It's up to the racing officials to know the difference between abuse and proper use." A 4-to-5 morning line on American Pharoah suggests the betting public will be undeterred by the grueling Kentucky Derby effort. But, will feelgood story (back-to-back Derby winner) turned media whipping boy Victor Espinoza think twice in the Preakness when in another stretch duel with Dortmund or Firing Line (or one of the five Jose Carrerases...you know, the Third Tenor)? It'll be interesting to see what impact the riding crop has on the outcome of the 2015 Preakness. Monmouth Park-area husband, father of two and professional equity research editor by day...concerned citizen, volunteer and horseplayer-horse racing fan by night.